Piggy bank, or coin bank, refers to the container that is typically used to store coins. Although less common, piggy banks are sometimes used to keep paper money too. For most of us, owning a piggy bank is the closest thing it gets to owning an actual bank. And that’s ok because piggy banks are cool! 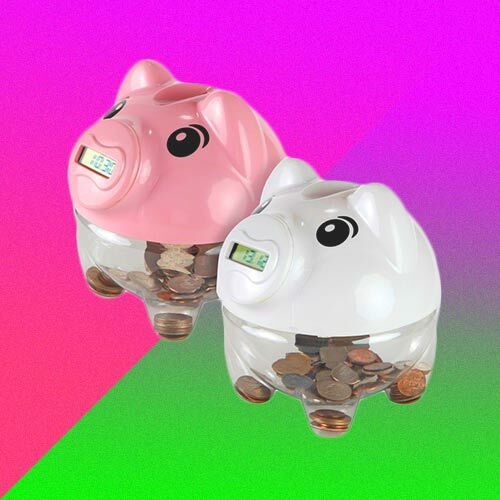 Piggy bank is the perfect way for kids and adults to save money. Keeping a piggy bank around helps to provide a home for all the loose change you have. Without a piggy bank, they get everywhere! Under the sofa, in your drawer — you get the idea. If you’re looking for a piggybank that is extra special, you’ll love the unique piggy banks that we’ve selected for you. 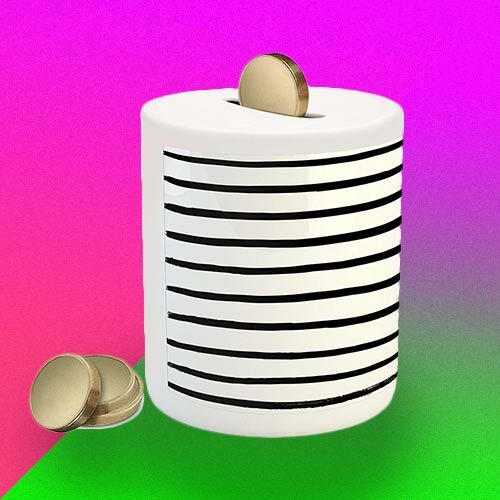 Get ready to see some cool coin banks. The name piggy bank originates from a cheap orange clay pot called pygg pot during the Middle Ages, into which people at the time would drop the coins they managed to save. Eventually, people started to create more specialized coin container in the shape of a pig because pygg pot sounded a lot like pig pot. And thus piggy bank was born. Nowadays piggy banks come in various forms, shapes, and sizes. 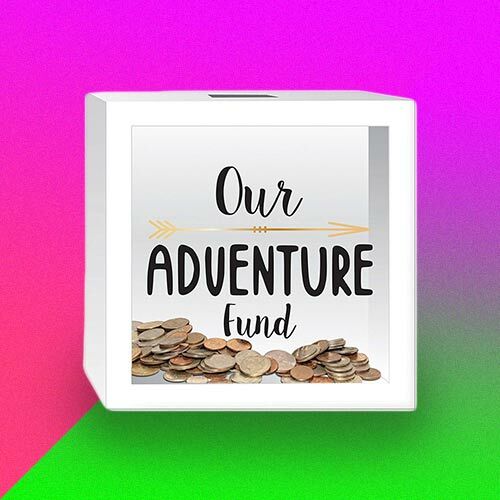 Whether you’re saving up for something super-exciting like a holiday or a car, or you’re simply putting money away for a rainy day, one thing’s for sure: you’ll be much more inclined to keep the saving habit up if you have a cute piggy bank to put your dough in! Below are some of our favorites. Piggy banks with cool design. Keep your hard-earned coins safe and sound in one of these cool coin banks that are cool as cucumbers. Kicking the list off, we’ve got a bit of a twist on the classic piggy bank. 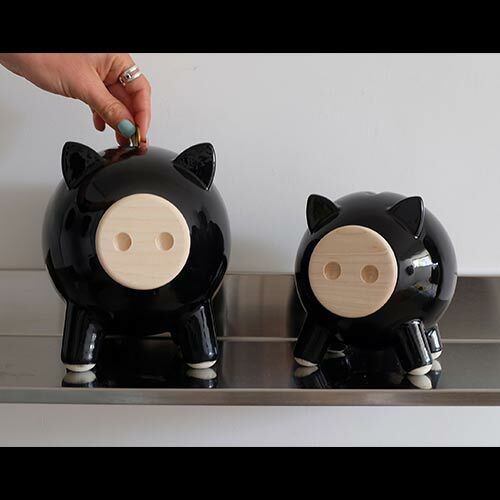 These piggy banks are super-chic pigs — they are not only funky and modern, but they’re available in six different color options and finishes, so you can be sure they really compliment your home decor. Huge Moana fan? Who isn’t!? This cool piggy bank is a must-have for any Disney lover. 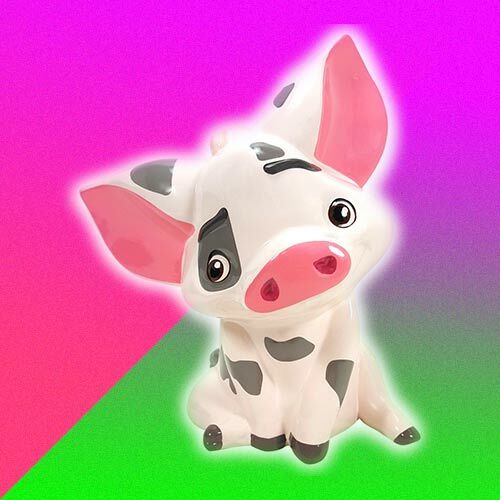 It features the adorable Pua from Moana. It stands at 9 inches tall, ensuring you’ll fit plenty of savings in there! Now you’ll have a sweet little pig sidekick of your very own. If you’re looking for something a little more matched to your decor, look no further than this gorgeous black and white ceramic coin bank. Black and white not quite your color scheme? Never fear – there’s plenty of coin banks to choose from. Win-win! If you’re planning a sweet getaway, how about visualizing it every time you put money aside? That way you’ll have a constant reminder of the exciting trip you’re saving up for, making it easier to keep up the habit! This unique piggy bank will help you on your way to rest and relaxation. Perhaps you’re not needing to save for something quite as large as a holiday – maybe you’re just looking to put some money away for the little things in life. 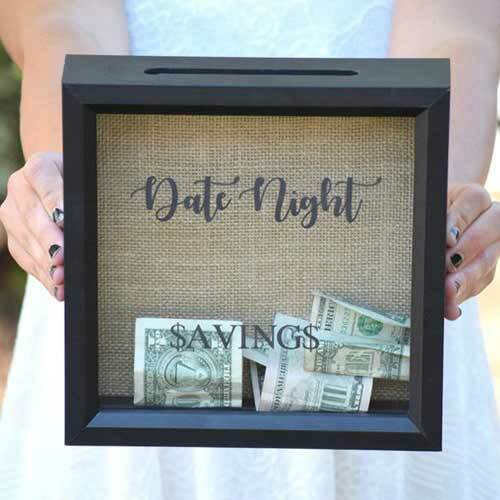 This Date Night money box will ensure you keep the date night tradition alive, and always have a bit of extra cash to splurge with your loved one. If the thought of leaving money around in an obvious spot sends shivers up your spine, you’re not alone. 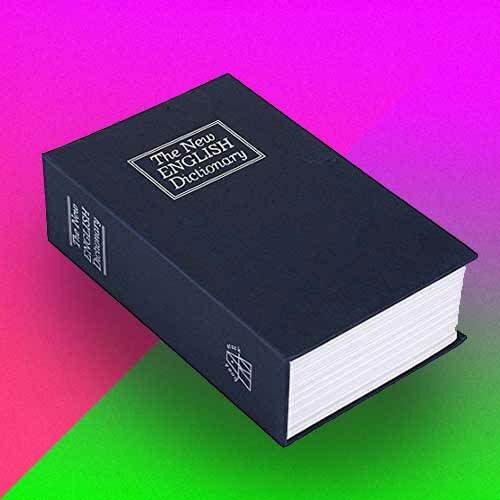 Thankfully there is a solution – this piggy bank is disguised as an English dictionary and will slip sneakily onto your bookshelf so no one will ever know. Just wanting a piggy bank that is sturdy and large enough to hold all your change, that won’t fall apart on you and will look funky doing it? Check and check. This sweet starry piggy ticks all the boxes and then some. If you’re looking for more of a traditional-style piggy bank, but something perhaps a little more you, check out this piggy bank! 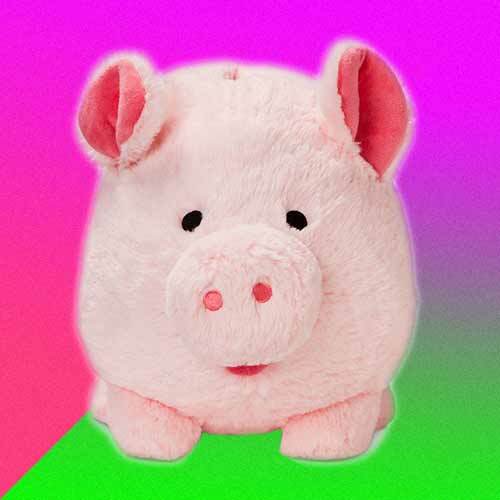 Fluffy, cute, and oh so cuddly, this piggy bank is large enough to fit a bunch of savings in, as well as adding some cozy decor to your bedroom. Just try not to snuggle it, I dare you. How about whales? 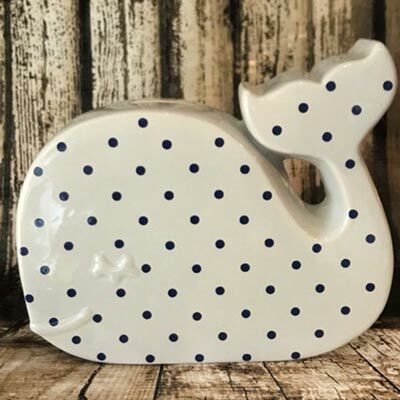 Whales are awesome This money box comes in a huge range of different color combinations and can be customized with a name to make it extra special. 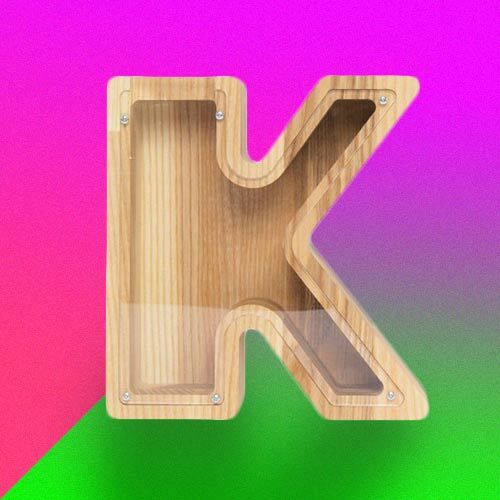 Express yourself (and make sure you never forget which letter your name starts with) with this gorgeous wooden letter money box. Available in any letter and with the option of personalized engraving, this lovely money box will look wonderful in any home. 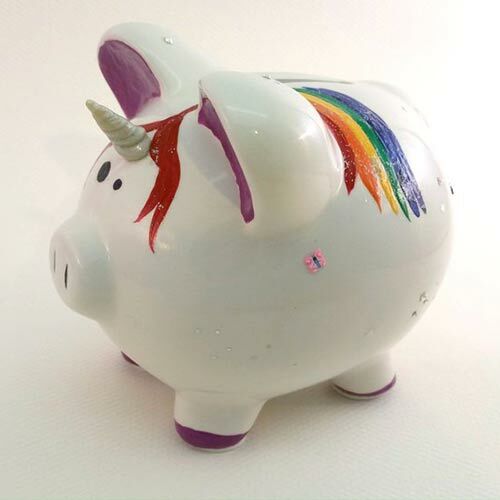 Unicorns are very much the “in thing” at the moment, so get with the trend and grab this piggy bank that is a unicorn pig with rainbow! Unicorns may not be real, and unicorn pigs are both unreal and rare, but they sure take good care of your money. This piggy bank can also be customized with your name! 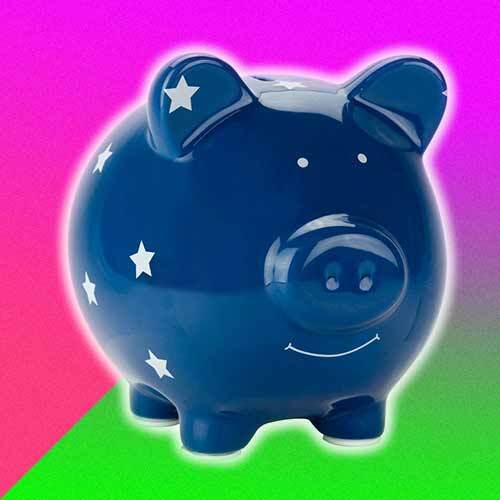 Design your own piggy bank with the help of this DIY kit. 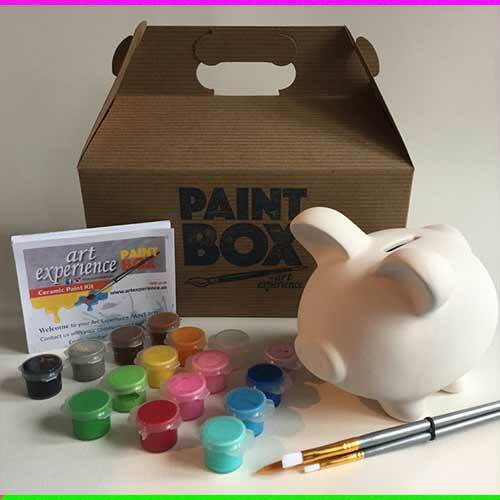 This kit comes with everything you need to make a piggy bank that is totally, utterly you. So put your crafty hat on and get decorating! It’s the digital era. 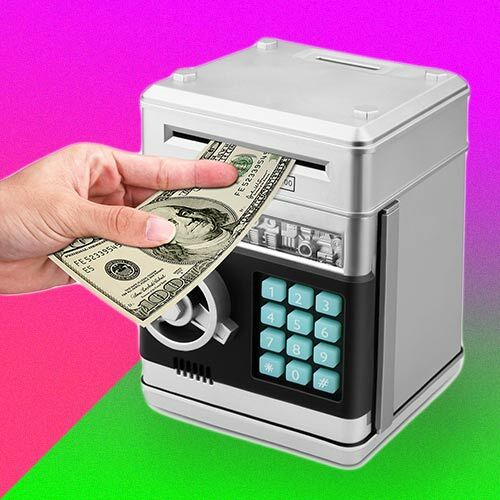 While the piggy banks still haven’t gained sentience, some of them has evolved: acquiring abilities to move, count, and in some cases — steal from you! I present to you the digital piggy banks. 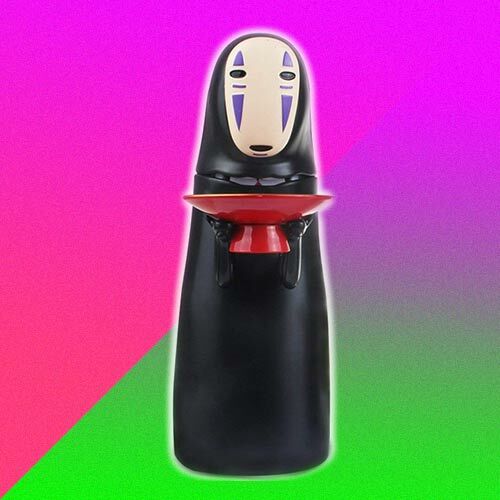 In normal circumstances, someone eating the money you’re trying to save isn’t exactly ideal, but when it’s No Face from Spirited Away we’ll make an exception. Sit a coin on No Face’s plate and he’ll eat your coin, storing it away for safe keeping. Too cute! This piggy bank is a battery-powered bank. 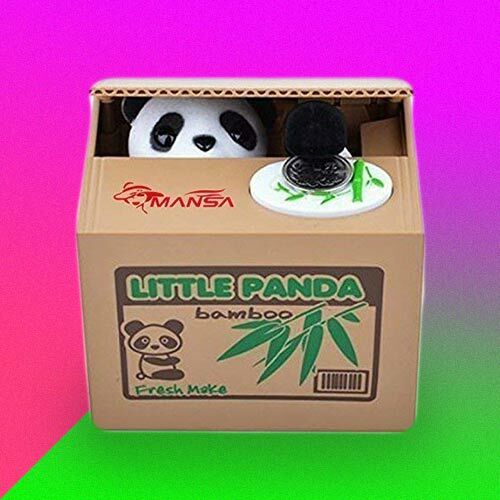 In keeping with the mechanical theme, it doesn’t get much cuter than a sweet little panda stealing your precious money. Don’t worry – he won’t keep it, he’s just making sure it’s in a safe place. Thanks, panda! Best electronic piggy bank for kids — definitely! These aren’t ordinary pigs. They are pigs that can count. 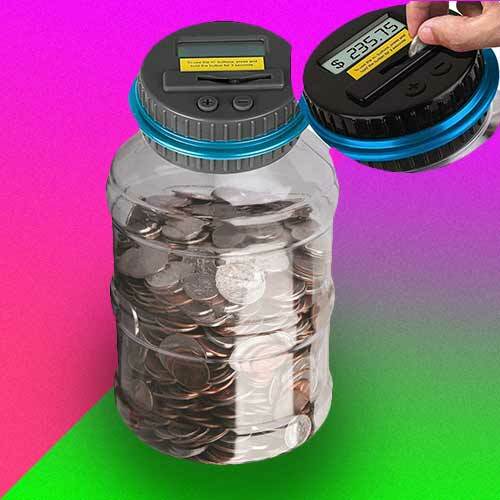 Always be in the know of how much money you have in these digital coin bank. See the numbers trickle up every time you save. It sure is a satisfying experience! Who has time to sit and count the masses of money you’ve accumulated? That’s right, no one. And you don’t need to, because this digital piggy bank does it for you. Each time you put a coin in the slot, it’ll add it to your total, showing you just how many millions you’ve saved. The gentle giant elephant is known in some culture as a symbol of power, strength, humility, and honesty. 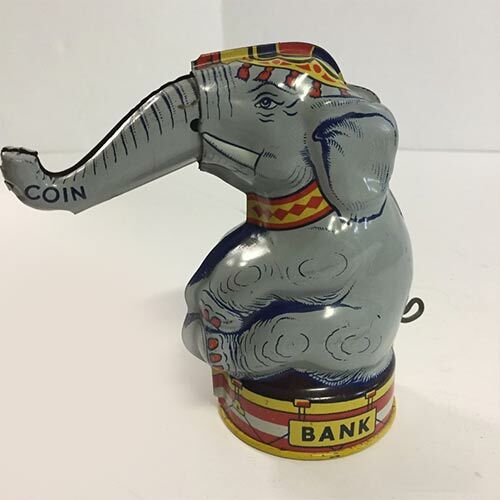 You can be certain that elephant coin banks will keep your pennies, quarters, dimes, and nickels safe. This elephant piggybank is reminiscent of the circus in the early 18th century. Made of tin. This coin bank is expensive because it’s an actual vintage item from the 1940s-1950s. You can absolutely use this bank to safe keep your coins, but you are more likely to use it as room decor or add it to your collection of vintage stuff. Another exquisite piggy bank. This vintage item is from the 1950s. 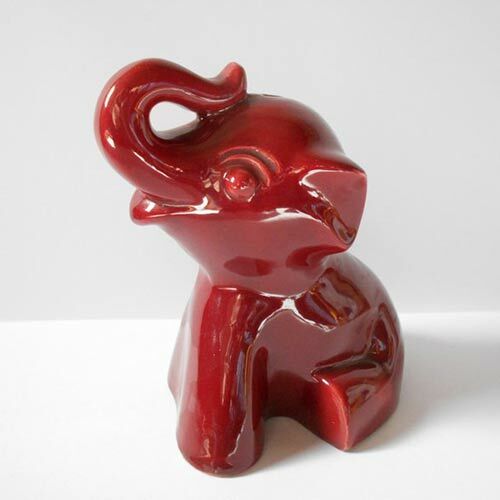 This mid-century bank features a lively elephant in maroon color. 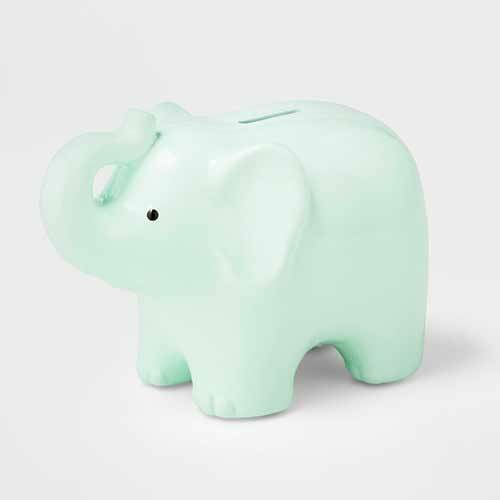 You can still get all the benefits of a piggy bank while also celebrating the coolest animal around – the elephant! This sweet bank is a beautiful green color, made from earthenware and just waiting to keep your savings safe. Fans of the wizarding world, support your fellow wizard boy by getting a piggy bank that pays tribute to him. And of course, we’re talking about coin banks of Harry Potter. Saving up for a new owl? Hogwarts robes looking a little tatty? 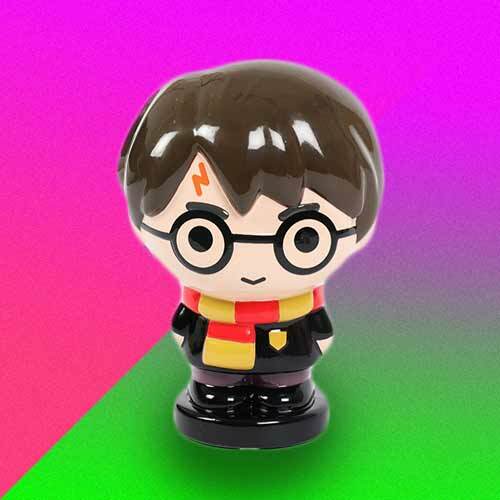 Save up for the necessities with this cute Harry Potter piggy bank. Made from ceramic, it’s totally sturdy and will hold plenty of coins, plus will look fantastic in any Harry Potter fan’s bedroom! Okay, I get it. 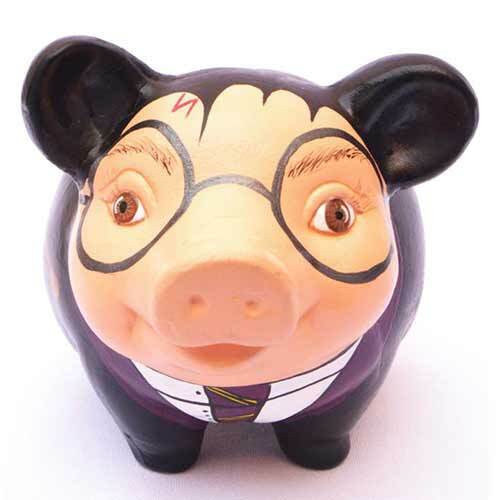 You like the idea of a Harry Potter coin bank, but isn’t the point of a piggy bank that it’s an actual pig? You’re so right. Here’s a real piggy bank, disguised as your favorite Hogwarts wizard. You’re welcome. Piggy banks made of tin and plastic and what-not are fine. 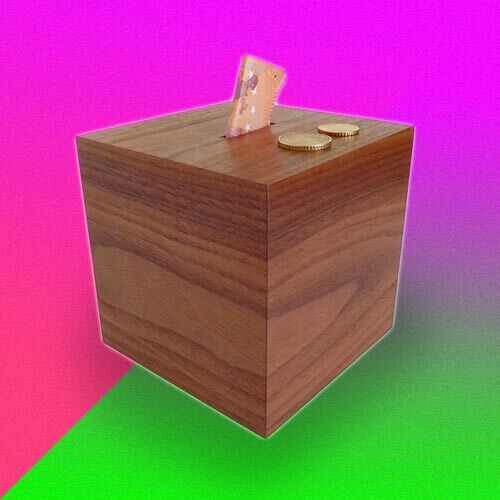 But there’s something unique about coin banks made of wood. 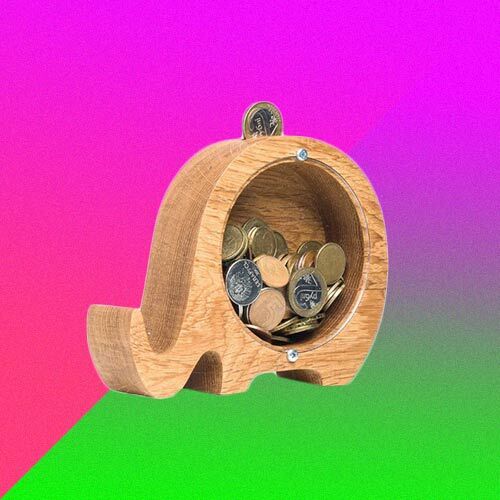 Unique handmade wooden coin bank. This wooden pig is made from hardwood from the Black Forest region in Germany. Abstract elephant piggy bank made from oak wood. It has a glass panel on its side so you can see how much money you’ve managed to save up in there. I get it – as cute as actual piggy banks are, it can be hard to make them fit in with your decor. 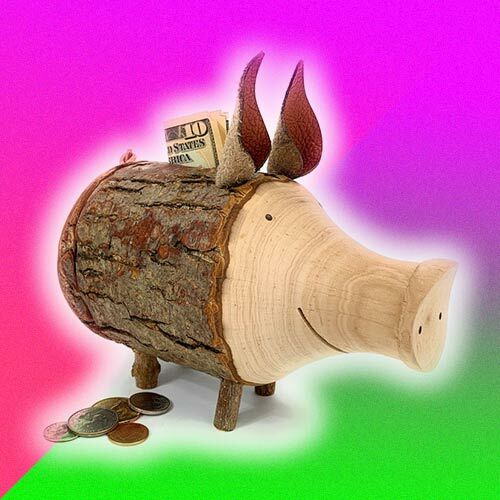 That’s why I love this wooden “piggy bank” – it’s totally stunning. Made from plywood and Walnut veneer, it’s beautiful and luxurious and will make you feel chic every time you pop money in it. And there you have it! Close to 30 unique and cool coin banks. Some of these banks were actually piggies, as in they are in the shape of a pig. Some of these unique piggybanks were made of tin, some from ceramic, plastic, and wood. Some of them are good ol’ fashioned coin banks while a few of them are digital banks that are capable of counting (and stealing) your coins. If I had to pick which cool coin bank is my favorite I’d say probably the Stealing Panda or the No Face Man bank. An electronic coin bank that reacts to my coins is kinda awesome. What about you? Did you find a piggy bank that works for you? Perhaps you were shopping for someone else? An adult? or a kid perhaps? Let us know what are you getting and which of the unique coin banks above is your favorite. Have you caught the saving bug yet? 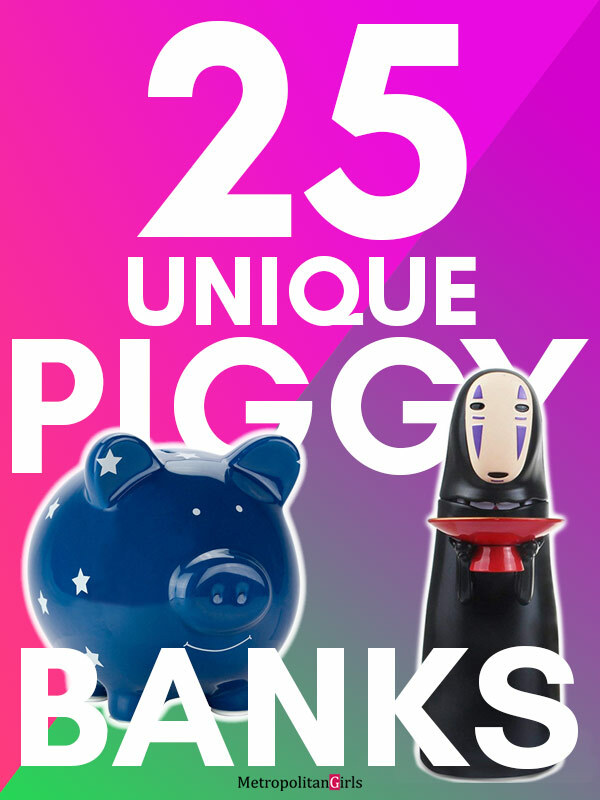 I know I have – now I just have to choose between all of these amazing piggy banks! What are you saving up for: a holiday? A special gift? Let us know, we’d love to hear from you.